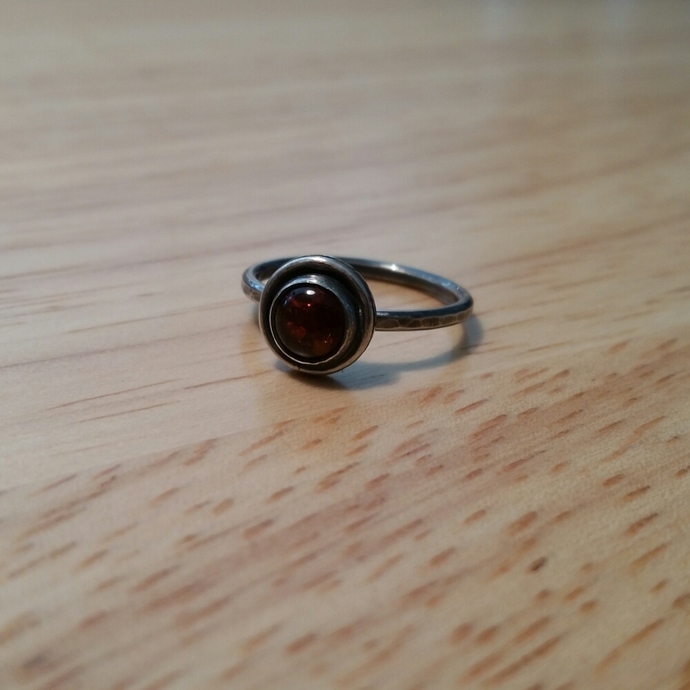 Handmade oxidized sterling silver ring with a genuine amber cabochon. 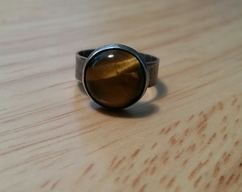 The gemstone amber forms from the fossilized resin of certain types of trees. Its most common hues are orange, brown, and yellow. Although rare, amber can also be found in a green color or blue color. 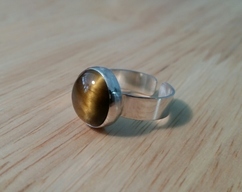 The amber featured in these rings are honey colored or golden yellow. 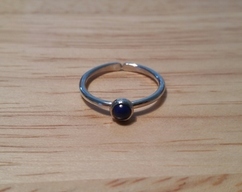 The ring presents a bezel designed to accentuate the stone and a hammered shank. 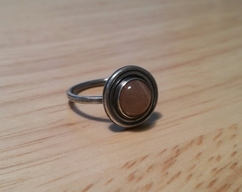 A patina was applied to the ring before polishing to highlight its unique design and textures. The handmade nature of the item and the natural stone means that no two will be exactly alike. All jewelry comes nicely packaged in a box ready for gift giving.